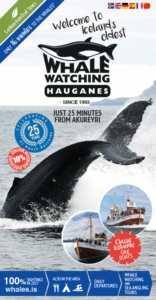 Welcome Whale Watching Hauganes! 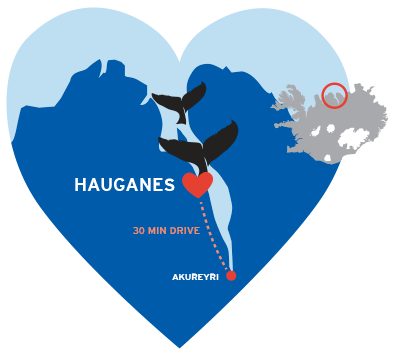 We sail from the heart of Eyjafjordur bay in North Iceland, from our little village of Hauganes. The whole Eyjafjordur bay is our playground all year but summertime is the most exciting when the whales arrive in the beginning of May. Our Whale Watching tours have been operating since 1993 but we first started looking out for whales in our neighborhood in 1989, before anyone else in Iceland. 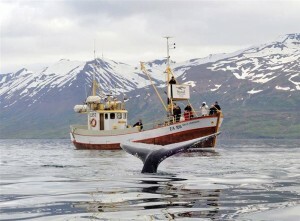 That makes us one of the oldest operating whale watching company in Iceland. We’ve had the same owners and same captains from the start! Our main goal is that you enjoy the tour! In 2017 we had 100% viewing success on our Whale Watching tours -sightings on every single tour! They do love our little bay. The good old whale watching tour with a little Sea Angling at the end of the tour. The ocean around Iceland and in Eyjafjordur has a variety of quality fish and we, as experienced fishermen, can almost guarantee that you’ll get a catch if you try! And of course you’ll get to take it with you! 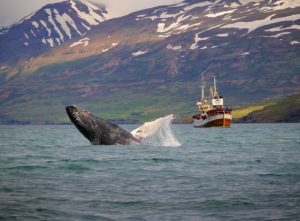 Our popular Whale watching sea angling tours operate during the summer and we sail from the center of Eyjafjordur, from our little village Hauganes and the whales are basically right by our harbour. Our captains are very skilled in locating the whales and show the utmost care when they are spotted. Whale Watching incl. 30min Sea Angling – Book this tour! 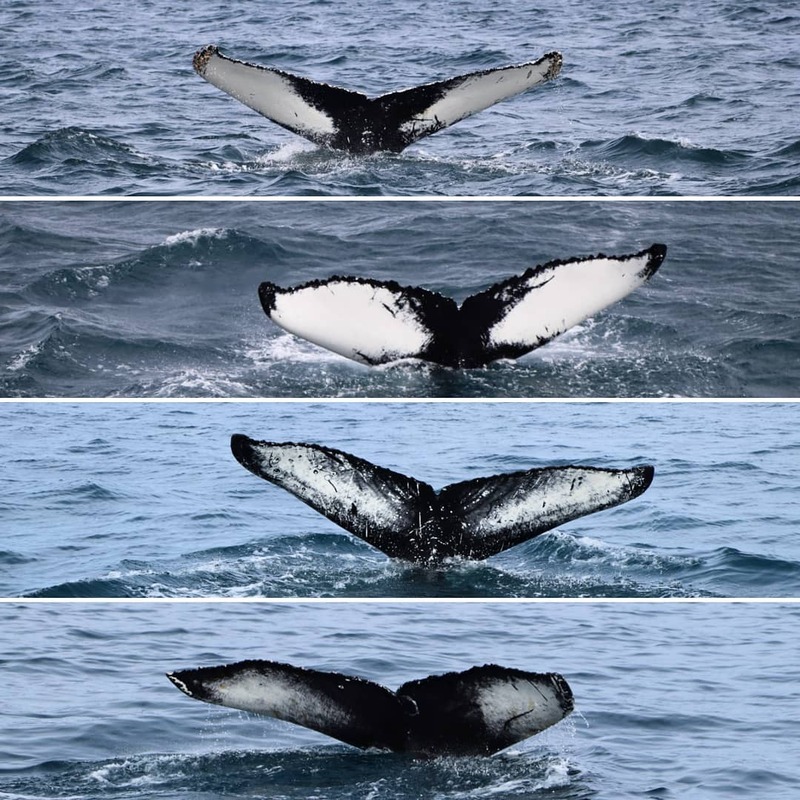 100% Whale Watching – Book this tour! Included: 2-3 hour guided tour, coffee and refreshments, fishing rods and warm overalls. Our boats have free open WiFi.